Perfect Laser is engaged in professional stone engraving machine manufacturers with strong technical and economic strength, advanced technology and management, stable product quality, excellent after-sales service. 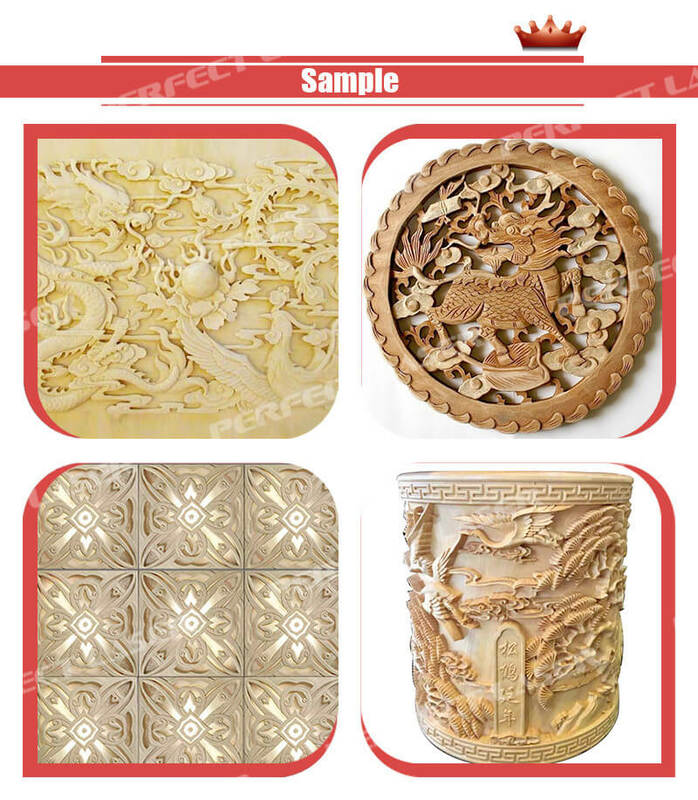 CNC mechanical stone etching machine uses cast iron design bed which undertakes tempering and secondary precision machining, supporting 15mm natural marble cutting. This stone etching machine has a unique waterproof design, and transmission parts and circuit parts can use for a long time. The automatic water circulation system and sink design of the stone etching machine ensures higher wear resistance of the knifes. 1. Waterproof design: The stone engraving tools is equipped with high-power water-cooled frequency conversion spindle motor. Waterproof design ensures that the internal parts of the machine‘s safety and security. 2. High speed processing: to achieve power, breakpoint, the next day processing, to facilitate labor. The stone engraving machine adopts breakpoint memory, to ensure that the accident (broken knife) or the next day processing. 3. Long time work: automatic changer cnc machine tools can achieve power, breakpoint, the next day processing, convenient and effort. The stone etching machine adopts a breakpoint memory, to ensure that in the accident (broken knife) or the next day processing. 4. The automatic changer cnc machine tools is particularly suitable for stone processing, marble, granite, tombstone, etc., It can also be used to process wood, ABS, PVC, acrylic and other non-metal materials. Applied Materials: The stone engraving machine is widely applied in marble, jade, tile, artificial stone, acrylic, glass, copper, aluminum, iron and other non-metallic materials and common metal materials. Applied Industry: The stone engraving machine is widely applied in advertising word engraving and cutting, MDF cutting and engraving, acrylic processing, handicrafts, signs, nameplate, electronic chassis openings, small cylindrical three-dimensional relief, PVC cutting and so on.